April Showers Bring… Snow Plowers? 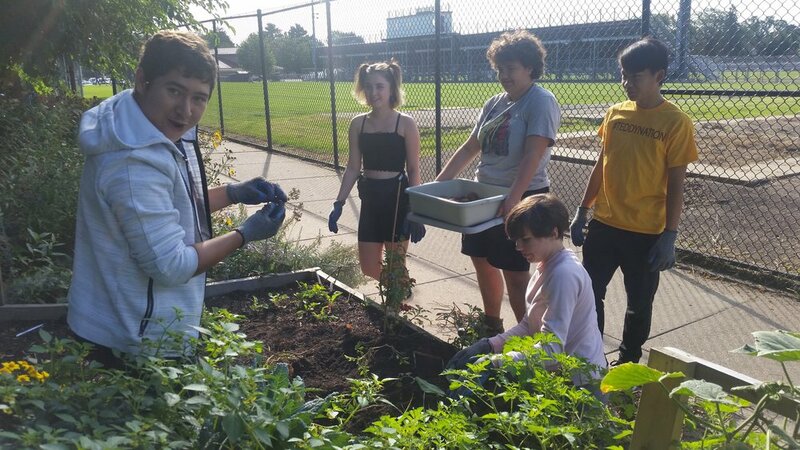 Students in Edison High School’s EASYpro (Edible Agricultural School Yard Professionals) class are facing quite an interesting challenge this spring. How do they establish and maintain a successful garden when it seems like this winter will never end? This has so far been a very exciting and busy year for EASYpro students. 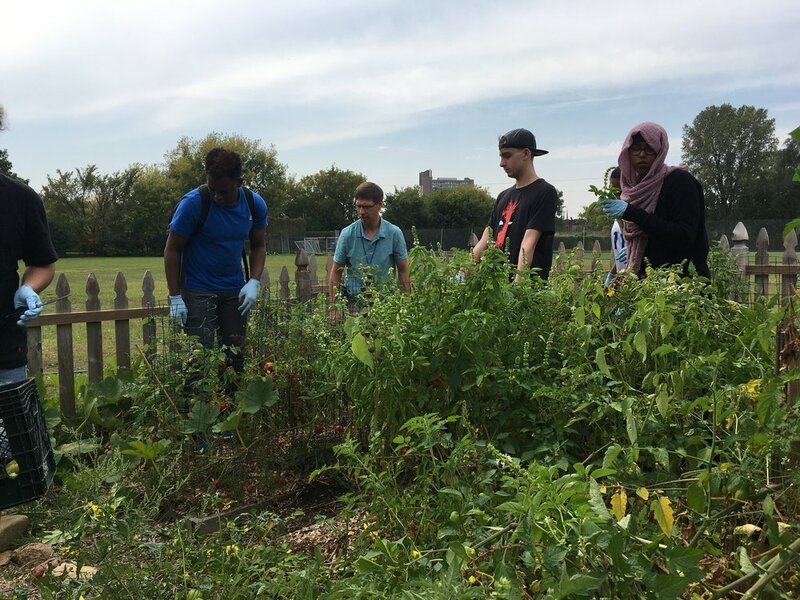 The 2017-18 school year marks Edison High School’s pilot year as part of Minneapolis Public School’s Garden to Cafeteria program. Being involved in this program means that any food that is grown at Edison can be sold to the school’s cafeteria and served to students during lunch. Edison has several different agricultural components on their campus that are serving a huge purpose in this program. The Edison farm consists of a campus garden, a greenhouse, and an aquaponics system that the students care for throughout the year. This year’s class dove right into the program with an incredible amount of enthusiasm. After completing their two week food safety training, the class participated in their first official harvest! With the help of last year’s spring 2017 class and Spark-Y summer interns planting and maintaining the garden, there was plenty to be harvested in the fall. This first harvest included a basket full of delicious cherry tomatoes, fresh basil and chives, and some pumpkins. After being cooped up inside for several months during the bitter Minnesota winter, everyone has been getting quite antsy to be outside in the garden again. The class was just gearing up to prepare the garden space by cleaning out the beds, tilling the soil, and building some new trellises, but wouldn’t you know it, winter decided to make another comeback. A surprise snow storm that hit over this past weekend left some parts of Minneapolis covered in as much as 15 inches of snow (yikes!). All that snow threw a bit of a wrench in the garden planning process. The class quickly learned from this experience that nature doesn’t always stick to the schedule you want it to. Ever the resilient bunch, EASYpro students are not letting this obstacle slow them down. A few students still got out there this last week to problem solve and make decisions about moving forward. Some resourceful thinkers on the team decided to utilize extra space in the aquaponics system to continue growing seedlings that can be transplanted once the snow clears. This kind of adaptability is what is making Edison High School truly successful in this endeavor! Thanks to their hard work, the aquaponics system is growing more than it ever has. The class even hopes to make a harvest of spinach and chard from this system that they can deliver to the cafeteria very soon! Let’s hope that this was the LAST of winter for this year so we can all start moving forward with garden season! 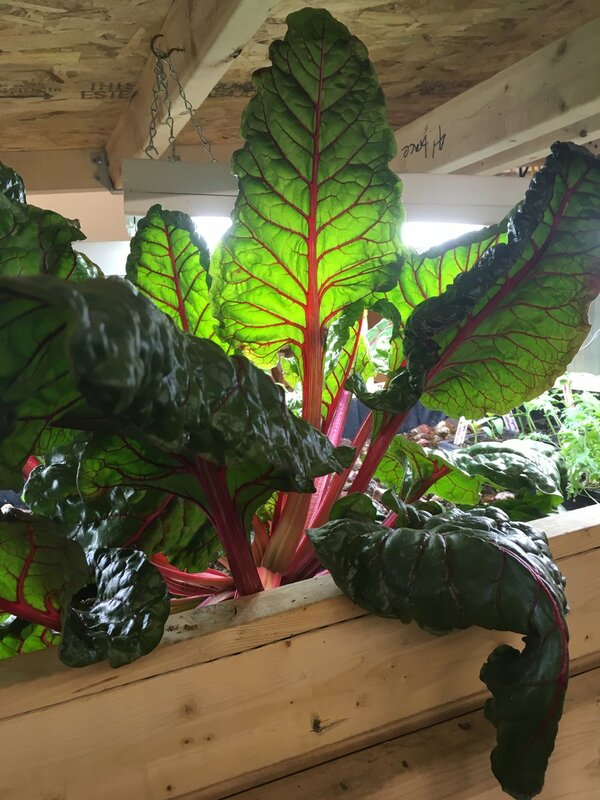 Beautiful & healthy growing in our aquaponics system. Just after construction and not yet planted. When I learned I’d be working with 3-5th graders at Crossroads Elementary—a year-round, public STEM school—I was pumped. As the Crossroads Action Educator, I get to teach seven classes a week in the school’s science classroom and Inquiry Zone, where I develop and facilitate hands-on sustainability projects. I have to admit, the words struck a note of dread inside me. Here I was, trying to earn the respect of these elementary kids, but was I really a scientist? I didn’t have a degree in the hard sciences. I haven’t worked in a research facility since one summer in college. I wasn’t even particularly knowledgeable about aquaponics! I decided I would do whatever it took to prove myself to these students by making the aquaponics system at Crossroads explode with happy fish and healthy plants. I rolled up my sleeves, planted seeds, and tossed the tilapia their pellets. But then I noticed my pea plants were freckled with white rot, my beans were turning yellow, and the tilapia became so aggressive they started killing each other. Disaster! The reality is that for all the shiny promise of aquaponics, it actually takes a fair bit of expertise—or experimentation—to create a productive system. Luckily, the Crossroads students have been more than willing to learn alongside me. The 5th graders are actually in the midst of conducting experiments to determine how different variables affect the health of an aquaponics system. In pairs and groups, these students constructed their own 10 gallon aquaponics tanks and chose which independent variable they wanted to adjust. One group decided to only fill their tank half full, another chose to use adult plants instead of starts, and still another decided to double the oxygen input. Other students are experimenting with number and type of fish, number and type of plants, and type of grow media. After weeks of patient waiting and diligent water testing while the nitrification cycle got established, we at last added fish and plants this past week. Stay tuned for their results! The 3rd and 4th graders have started their own aquaponics germination experiment recently. As we began learning about plants, we asked what a seed needs to grow. Students were quick to answer: sun, soil, and water! Some all-stars even thought to add air and space to the list. I decided to put their assumptions to a test. Each class was divided into three seeding groups. One group’s seeds would get everything: they’d plant in soil, be placed in a grow bed (giving them access to water) and they’d get plenty of light exposure. The next group would be exactly the same except the containers would be covered and kept in the dark. The last group would be totally different: instead of planting in soil, they’d plant their seeds in hydroton, on a damp piece of paper towel. After cleaning up from our flurry of planting activity, we all made predictions: would the seeds without light and soil be able to sprout? Seeds in soil, seeds in hydroton, and seeds in the dark. I honestly wasn’t entirely sure myself what would happen. We at Spark-Y have a tendency to say we’re “laying the tracks as the train is approaching,” and I think what we usually mean is that we’re constantly pushing our growing edge, constantly adapting, and constantly evolving. As much as it can be stressful to be responsible for the hundreds of little lives that make up an aquaponics system, it’s also exhilarating to be learning alongside the students. When I peeked into the darkened planters I felt a thrill to see the little plants reaching out. My excitement doubled when I imagined how fun it would be to reveal the results to the students the next day. With a fresh lettuce harvest! In the past few months, I’ve come back to the question several times: what makes a ‘real’ scientist? For the time being, I’ve decided a real scientist is anyone with a genuine willingness to explore the world through observation, experimentation, and a strong sense of curiosity. As long as we’re willing to fail and observe, learn and try again, we really are all scientists.